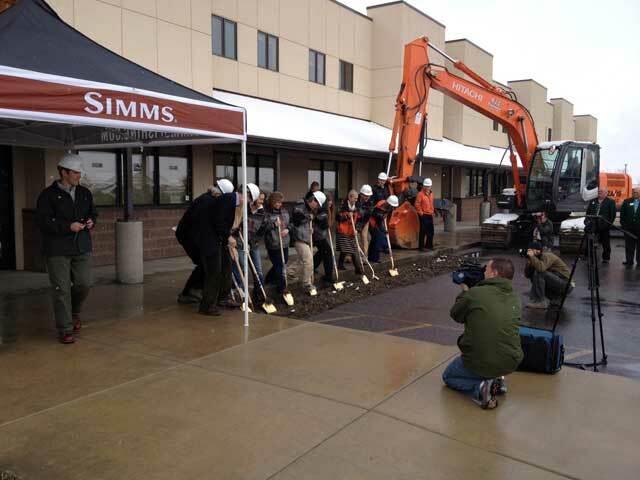 Montana economic and development officials joined with representatives of Simms Fishing Products on Thursday to break ground on a new corporate headquarters for the company. The ground-breaking took place at the 60,000 square foot building in Bozeman’s Four Corners, not far from the Gallatin River. The building was the site of the former Four Corners Hardware. Simms has partnered with the award-winning architectural firm of JLF & Associates to remodel the building and plans to move in this autumn. The new location is easily accessible by anglers heading to Yellowstone National Park, the Madison and the Gallatin Rivers. There will not be a retail component at the new site. All of Simms’ award-winning GORE-TEX® waders will continue to be made in Montana.